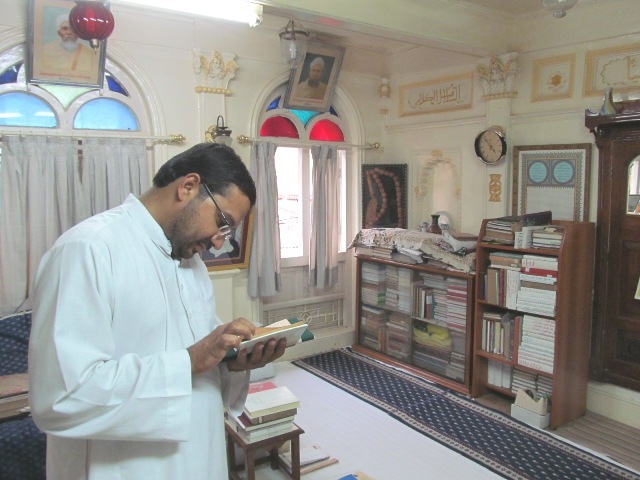 On 11th Shawwaal 1433 AH/28-8-2012, Tuesday, Mr. Kumail Rajani, a research scholar working on different subjects on Isma’ili Faith and Doctrines from Qumm, IRAN, visited the centre of ad-Da’wat ul-Haadiyat ul-‘Alaviyah and did mulaaqaat of Saiyedna saheb Huzoor-e-‘Aali (tus) at Daar us-Salaam. He is one of the mo’allim of the farzand-e-baa-kamaal Sa’eed ul-Khayr, the eldest son of Mazoon ud-Da’wat, in Qumm and he is over viewing the progress of his ta’leem and guiding him in every possible way. 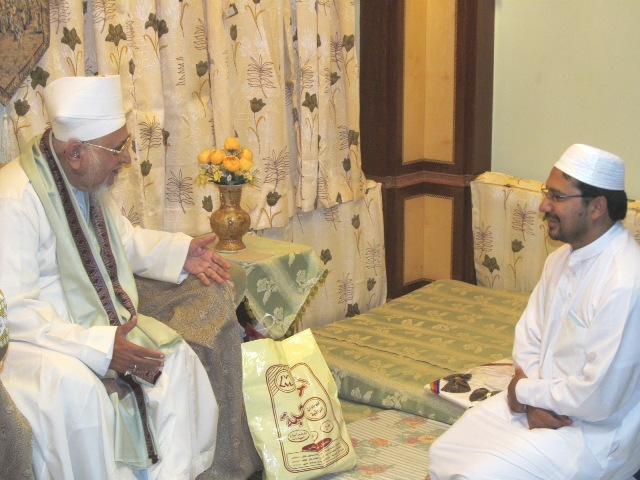 Saiyedna saheb Huzoor-e-‘Aali (tus) discussed with him extensively the prospects of further studies in Arabic for Sa’eed ul-Khayr in Iran. 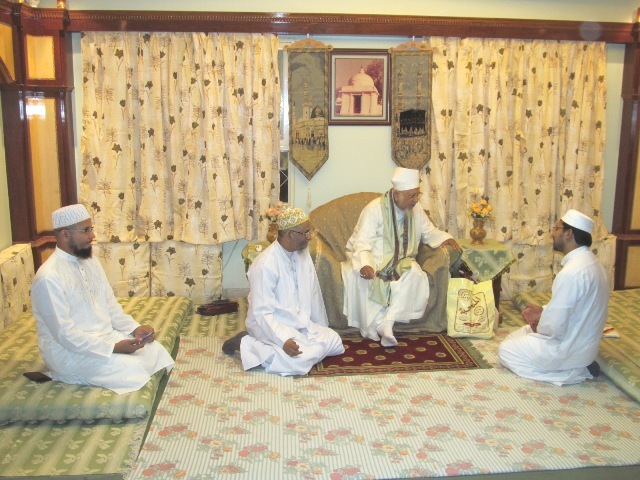 In his message to mumineen he said that, “I urge Alavi Bohra people to make maximum use of the knowledge of Mazoon Saheb. He has a lot to share with you all and your community is gifted by such a great scholar. All the things which make us under one roof is love of Ahl ul-Bayt (as) and we should realize and make Shukr of this great Ne’mat of Wilaayat and Mawaddat".